Open Carry of a Firearm - Is it Right? Nate and Brian discuss openly carried firearms and how it contrasts with concealed carry. 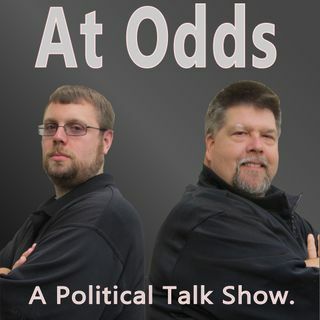 They discuss the pro's and cons of open vs concealed as well as a recent court case won by Michigan Open Carry, Inc which Brian and Nate co-founded. They also discuss an incident Nate had with harassment by a police officer in Grayling, Michigan. The MSP refused to take a report of the incident in Grayling. A lawyer was utilized to send letters to a number of people in the city. A color of law violation was also filed with the FBI. The city got a new chief in the middle of this and Dennis Long no longer works for the department. Everything that the OC movement was about at the time was accomplished. A bad officer was removed and a police department was educated. So I'm assuming Nathan Nephew didn't pursue this further? (Which would have been the Crawford County sheriff, I'm thinking). The principle of CC is concealed. No one can change Ted Nugent's mind. The show was taped some time ago, just after the CADL case decision. The Grayling PD was chief-less as he was fired just before this happened. This cop WAS the acting chief. The Grayling PD was a mess at the time and was taken over for a short time by the Sheriff's department. I undestand things are better now. Your statement: CC is hidden. My reply: Not always. The firearm may be hidden but spare magazines are often not. I CC when I am in Texas, but I think it's silly since everyone can see my spare magazines anyway. Grayling LEO: what happened? Did you demand to see the shift supervisor? Did you file a complaint with the Grayling Chief of Police? Random thought: I’m wonderin’ why hasn’t Skip Coryell changed Ted Nugent’s mind about OC? Random note: You said that the CADL decision was yesterday, but you just posted the audio one hour ago (well, five hours ago now).